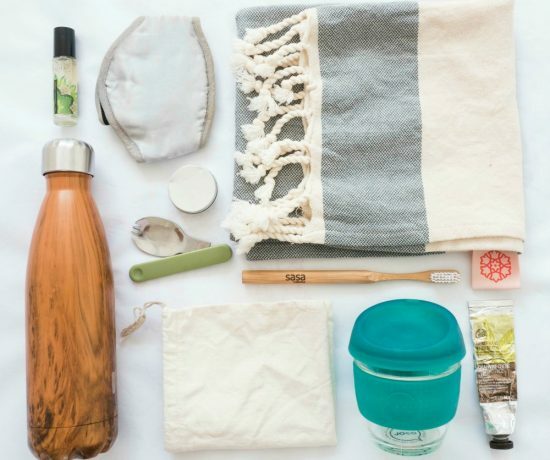 Plastic Free July is half-way and we are seeing amazing changes and lots of exciting programs bringing a community together to fight plastic pollution. This week I shared my Zero Waste kit on my Instagram and it was a hit! 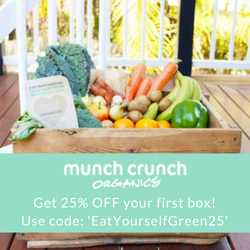 The movement is getting traction, creating awareness and making small changes in people’s lives, and that’s what this is all about! On the same note, today on my local beach, Burleigh Heads, we had a first ever plogging session. Myself and a group of like-minded mates, got together to do a running session while we picked up rubbish during the course, aka ‘plogging’. Plogging started in Sweden and spread around the world as a way to help increase plastic pollution awareness. It was such a nice morning of community, laughter and awareness that we could see however small, we did a great job of creating awareness of the issue to people that probably never thought about it. I guess what I’m trying to say is that if we really want to make things differently, we gotta start with ourselves and live by example, leading the way to create change. After this weekend, I realised I could really start putting together more actions in my home to help reduce waste and increase awareness of the aggravating plastic problem we have. 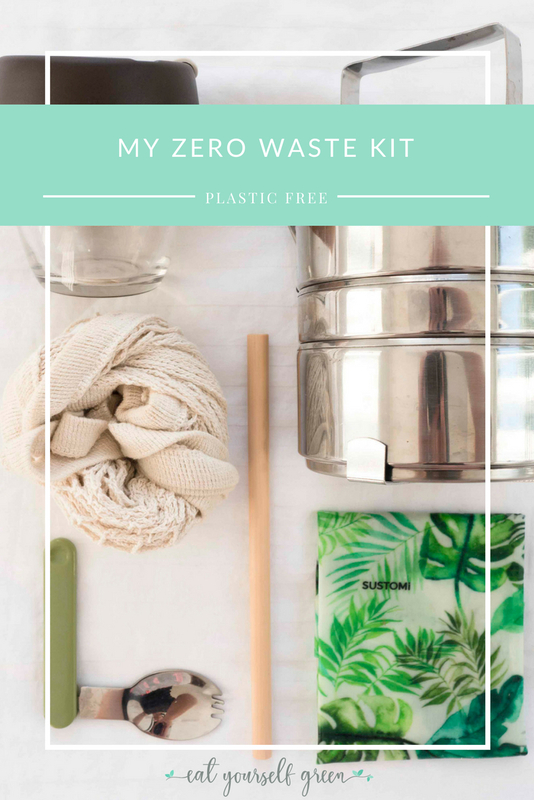 And so I decided I should share my Zero Waste kit with you guys to show you how you can reduce your waste when out and about. A reusable coffee cup is pretty much the most necessary item in my bag. Whether at work or out with friends I always take it with me so I can drink coffee, tea or like today, a healthy smoothie I bought at the shops (without the plastic). 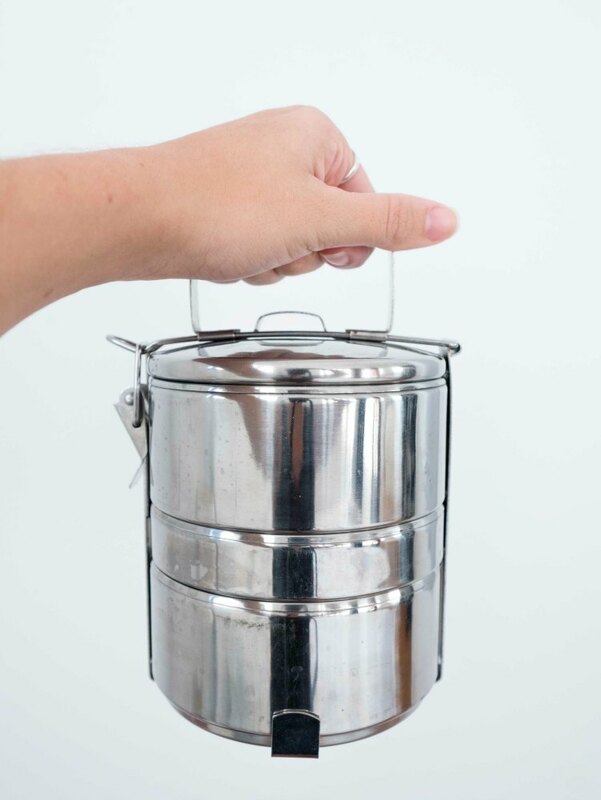 A tiffin or food container (no matter which) is great to have with you and get your takeaway food. Perfect for hot dishes and for avoiding paper or plastic serveware. You can get a spork (spoon + fork) or use what you have at home, like a set of cutlery. 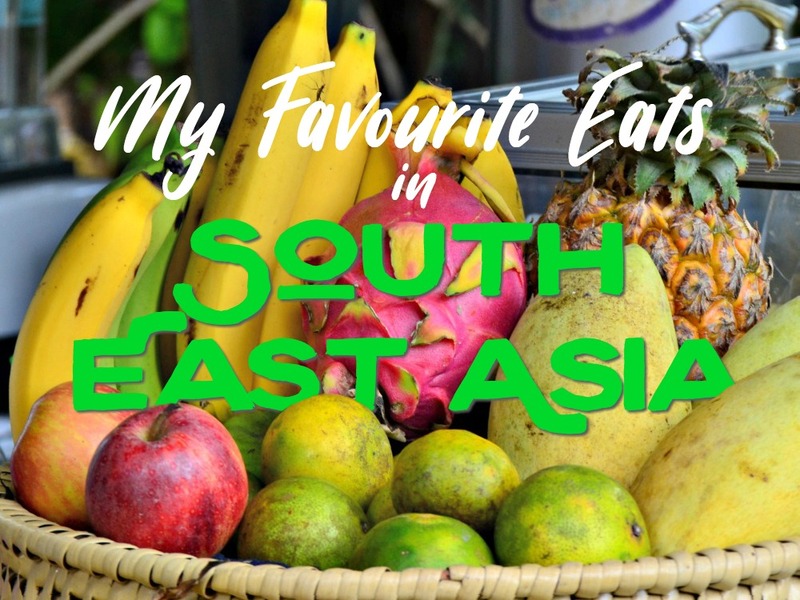 You can add a knife or even hashi (chopsticks) to eat all foods that may come your way! If you are a big sipper or even if you don’t, keep a reusable (glass, bamboo or aluminium) straw with you. There will be occasions where a straw is needed and you won’t get caught out without it! Well, this one is kinda of self-explanatory. Keep always a bag with you for when you need it (aka shopping) and they don’t weight too much so, always easy to keep in your bag. An amazing alternative for cold foods/produce and to wrap leftovers when you are out. Just don’t do it like me and use it for hot foods…it will melt. DUH! 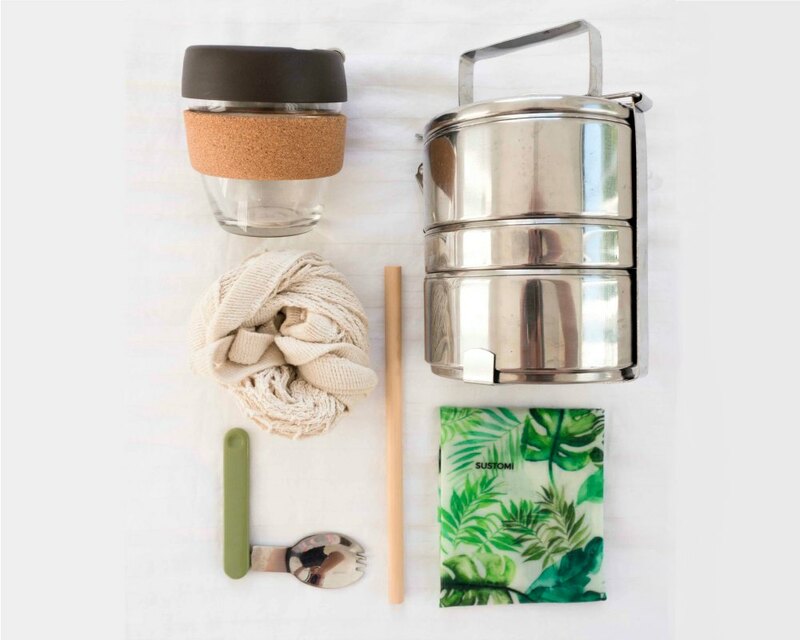 You can find all these products here or here and you can start slowly building your Zero Waste Kit according to your needs and daily life. By the way, did you know that I’m sharing another Zero Waste giveaway tomorrow? Stay tuned for a chance to win a Plastic Free July Kit from Biome! Head to my Instagram to enter. Starts tomorrow (don’t miss out!). 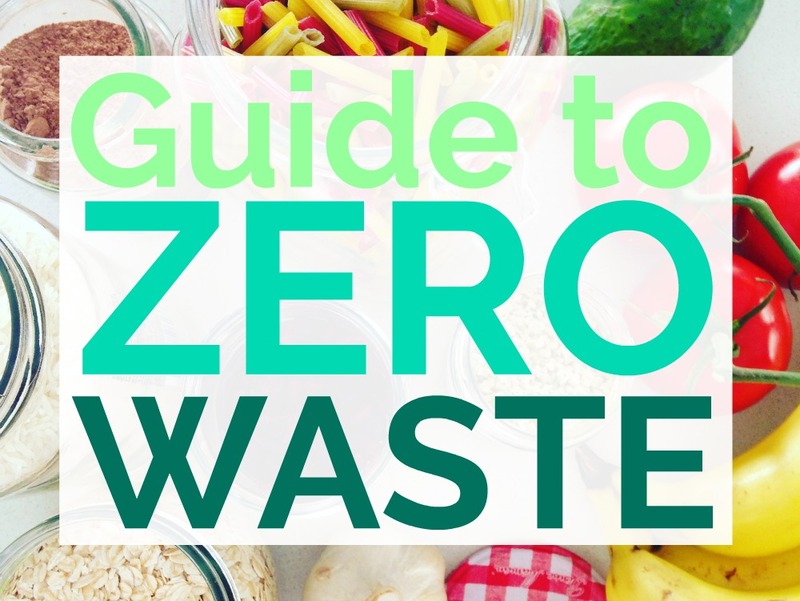 My NEW E-book is Here: Eat Yourself Green’s Guide to Zero Waste!